The 2019 Mitsubishi Mirage is a subcompact car. It comes in the form of a four-door sedan or a hatchback. This is a very small vehicle, but it still manages to seat five and leave ample room for groceries or other cargo. It's one of the most affordable cars on the market today. It also has fantastic fuel economy, making it the perfect choice for budget-minded buyers. The Mirage has been around for a long time now. The 2019 Mitsubishi Mirage is part of the fifth generation of these vehicles that began in 2012. The overall looks haven't seen many changes since then. There is a new Limited Edition trim for this year. There are also some new optional features. Some of these include heated front seats, red interior accents and black alloy wheels. The driver's seat now has a height adjustment on all models. Cruise control is also now standard equipment. The 2019 Mitsubishi Mirage comes at a great price. It's one of the most affordable cars on the market today. Fortunately, it doesn't cut many corners to achieve the low cost. This makes it a great value for the cost. It's a fantastic budget buy for anyone. 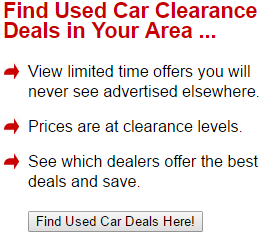 Mitsubishi doesn't sell you a stripped-down model for the price either. They pack in a lot of nice features in this low cost, high-quality vehicle. The fuel-economy rating is one of the best reasons to select a Mitsubishi Mirage. It's one of the best cars on the market when it comes to this category. If you want to save money at the gas pumps, then the Mirage is a pretty good option. Depending on the trim level, you can expect around 36 mpg in the city and 43 mpg during highway driving. It doesn't take much to fill up the tank in the first place either. The 2019 Mitsubishi Mirage provides great steering and handling. Steering is tight and accurate. It's not speedy, but it can handle curves and is fun to drive around in the city. Braking is strong and responsive with a safe stopping distance. The sedan models feel a little more refined than the hatchback when it comes to handling. The Mirage was never built to be a performance vehicle, but it does provide a solid driving experience. Even thought the Mirage is a budget vehicle, it's still loaded with a ton of standard, high-tech features. The infotainment system offers support for both Apple CarPlay and Android Auto. It features Bluetooth connectivity too. You can always stay connected and even access features through voice commands. Answering calls or texts can be done hands-free. A large, color screen shows all of the information you need to see at a quick glance. The quality of the sound system is top notch too. The Mitsubishi name has long been synonymous with durability and reliability. Previous years have seen good reliability ratings for this generation of the Mirage. You can expect the same from the 2019 Mitsubishi Mirage. Mitsubishi also provides an industry-leading warranty. It truly goes above and beyond what most manufacturers offer. The company stands by their work and covers almost everything for five years or 60,000 miles. The powertrain is covered for ten years or 100,000 miles. The Mirage gives you some great safety features to protect you and your passengers. Best of all, most of these features come standard on all models. You get enhanced visibility thanks to the halogen headlights and available fog lights. Mitsubishi has a system called RISE or Reinforced Impact Safety Evolution. This technology reroutes and absorbs energy from impacts to protect the occupants inside of the vehicle. An Active Stability Control system keeps traction on each wheel as it's needed. A rear-view camera makes sure you have good visibility when backing up. The 2019 Mitsubishi Mirage has good crash-test ratings. This ensures that in the unfortunate event of an accident, everyone inside of the vehicle is protected. This is likely due to the RISE system implemented by Mitsubishi. The IIHS gives the Mirage a good rating in all categories. The NHTSA gives the Mirage four out of five stars front, side and overall crash tests. They also give it four stars when it comes to their rollover tests. 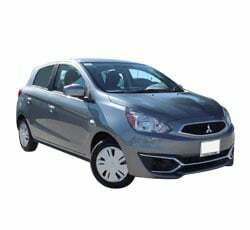 The Mitsubishi Mirage is a subcompact with a deceptively large amount of interior space. It can seat five passengers. Most will be fairly comfortable inside of the Mirage. The car also provides a solid amount of cargo space. 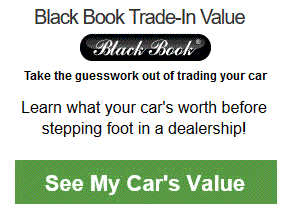 This is true for the trunk in the sedan models as well as the cargo space within the hatchbacks. Hatchback models have the added benefit of being able to put the rear seats down for even more cargo space. The 2019 Mitsubishi Mirage has a great automatic-transmission system. The CVT, or continuously variable transmission, operates smoothly and accurately. Every shift comes naturally just when needed. A Mirage equipped with the CVT also gets a few more miles-per-gallon when it comes to fuel-economy ratings. The 2019 Mitsubishi Mirage is an attractive car. It has nice lines and an appealing exterior style. It's a lot more stylish and attractive than any car has the right to be in this price range. Seven exterior colors are available. You can opt for conservative, popular colors such as white, black and silver. There are also some more exotic and flashy choices such as sapphire blue metallic or infrared metallic. The Mitsubishi Mirage provides a comfortable ride, but it's not a very quiet one. You can hear a good deal of the road noise. This may be annoying on long commutes. The Mirage is primarily built with city and short-distance drives in mind. The road noise may not be that big of a deal for some. The engine is noisy as well, which further exacerbates the problem. The 2019 Mitsubishi Mirage is a budget car with a lot of luxury features and a classy exterior. Not many corners were cut to keep the price down when it comes to features, options and performance. One area where cuts were made is in the interior. It's comfortable enough for a car in this class and price range. The controls and are well designed and laid out in a logical manner. Many of the plastics and other materials, however, are not of the highest quality. The base model of the Mirage has sluggish acceleration. It has decent performance in all other aspects. Unfortunately, it can take more time than you may want for it to get up to speed. If you're looking for sporty performance, the Mirage really isn't about that. Subcompact sedans and hatchbacks are crowded fields in the automotive industry. The Mitsubishi Mirage has a lot of competition. Perhaps some of the toughest competition comes from the Ford Fiesta, Toyota Yaris and the Honda Civic. The Ford Fiesta is a solid car and a viable alternative to the Mirage. The Mirage provides more space for your rear-seat passengers. It give you a bit more cargo space as well. The Ford has a more powerful engine, but the Mirage wins out when it comes to fuel economy and the overall cost of the vehicle. The Toyota Yaris gives you slightly better performance. Like the Ford, the Toyota has a more powerful engine compared to the humble Mirage. Once again, the Mirage has a lower base price and offers better fuel economy. If cost and practicality is your thing, then the Mirage is a better option. Last of all we have the popular Honda Civic. The Honda has much better acceleration, but the Mirage actually has a smaller turning radius. The Mirage does surprisingly well against the Honda when it comes to steering and handling. That, along with its slightly smaller size, might make the Mirage a better choice as a city driver. Once again, the Mirage is much less expensive, making it the better value here. The 2019 Mitsubishi Mirage is a fine car for a first-time driver, a family on a budget; or anyone looking for solid, basic transportation. It is a reliable and a safe vehicle. It provides many safety features and gets good crash-test ratings. The Mirage has ample seating and cargo space, especially in the hatchback models. If you're looking for something affordable, it's one of your best options. It will continue to save you money after the purchase by providing much better than average fuel economy too. • Why Buy a 2019 Mitsubishi Eclipse Cross? • Why Buy a 2019 Mitsubishi Mirage? • Why Buy a 2019 Mitsubishi Outlander? • Why Buy a 2019 Mitsubishi Outlander Sport?